Welcome to today's BEST blog interview with Carolyn Eady. She is located in Toronto, Canada where she makes a beautiful variety of handmade items that she sells under the label Sprouts Press Designs on Etsy. 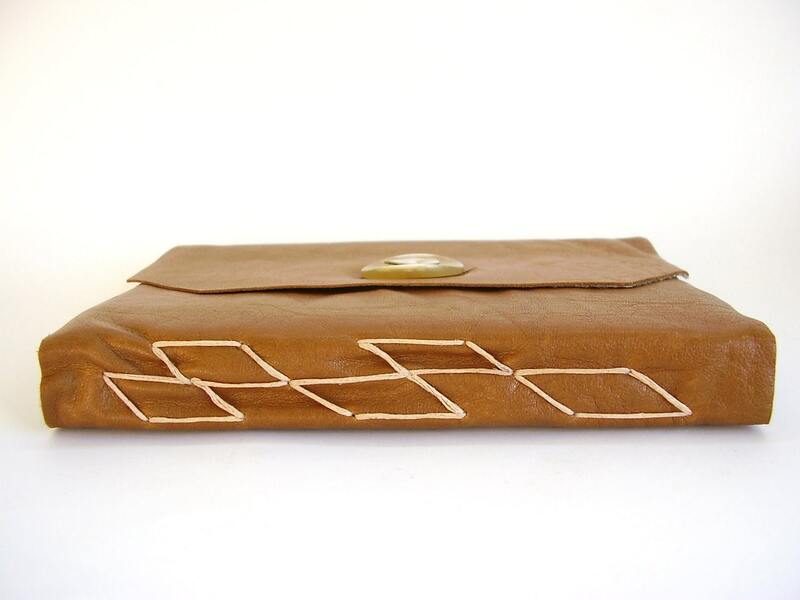 She creates hand stitched books and journals, but also handprinted textile items, earrings and more! This multitalented woman has a Bachelor of Fine Art and loves to hunt for paper. You studied Fine Art and now you create a lot of different things: books, textiles, earrings, crochet. How would you describe yourself and your shop? Are you an artist, book maker, crafter? The name of your shop is Sprouts Press Design. What was your idea behind this name? I was young when I officially opened for business, fresh out of Art College. I knew it wouldn’t be easy but I was up for the challenge. I wanted a name that conveyed a fresh start or new beginnings and what better than the mighty sprout? I admire the strength and willpower of the sprout – think concrete sidewalk in May (here in Canada), full of sprouting plants that find any and all possible ways to thrive. I also chose this name as a commitment to respecting the earth any way that I can. 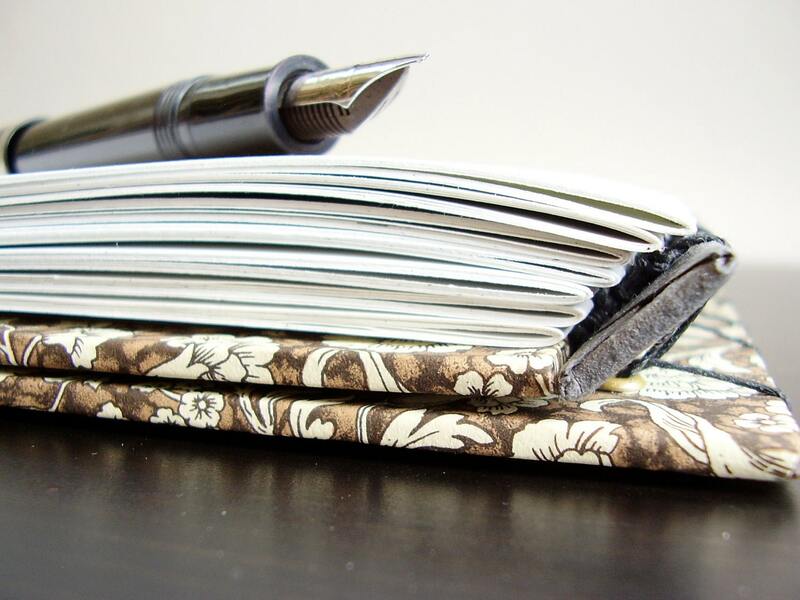 Whether it’s using reclaimed or recycled papers when binding a journal whenever possible, to re-using packaging and saving on unnecessary waste. Where do you find the pieces of used material (paper, leather) that you recycle for your unique books? So many different sources, usually never the same place twice. I keep my eyes and ears open all the time. Library books that would otherwise be tossed are a great source of both printed paper and book board. Just be wary of mold and staining. My skills with leather are basic, so I exclusively use thrift shop clothing and cut it up. I enjoy keeping the stitching and other details intact and working them into the design of the book. You are located in Toronto, Canada, and I've read that you get a lot of inspiration from nature. Can you tell the readers of this blog: how does nature look like at your place? What inspires you? Before I started book binding, I was a papermaker. I’ve made paper using all sorts of things like pine needles and hosta plants, milk weed, thistles, etc. I would gather materials on walks and hikes around the area that I grew up, which is just outside of Toronto. The Bruce Trail is also nearby where I grew up and there are woods, fields, streams and waterfalls to explore. Now I live in the city and I’m still inspired by nature as there are great parks with hiking trails to explore, but also by all the pocket neighbourhoods. It’s a great day trip to check out a new part of town! Sometimes inspiration strikes and I’m even moved to capture the view with a watercolour sketch or two! You've also studied in Italy, in Europe. How did that influence your work? 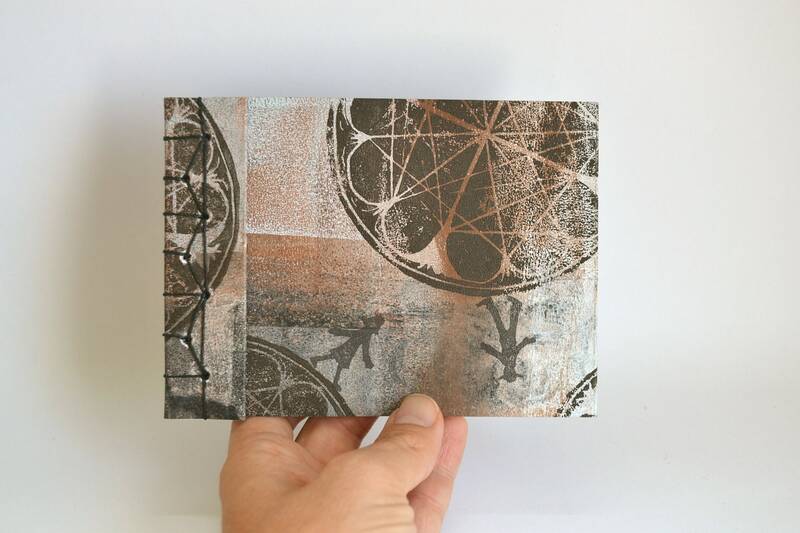 I think it helped to shape the direction I wanted to take with my book arts. It sparked a love with ornate designs and leather bound books, but also a love for old-world ways, hand tools and fine craft so beautiful it was breath taking. Being overseas for the first time, without my parents, was a real eye opener as well. I think it really built my confidence and self-trust to follow my heart and do what I do now, despite any doubt. Thinking over this question, I realize I have a few favourites. One is an artist’s book that I researched and wrote, made the paper for and hand printed my own linocuts as text and images. Another is a journal/sketchbook design I’m currently working on and really pleased with so far. It involves Florentine papers and leather, that’s all I’m saying for now. 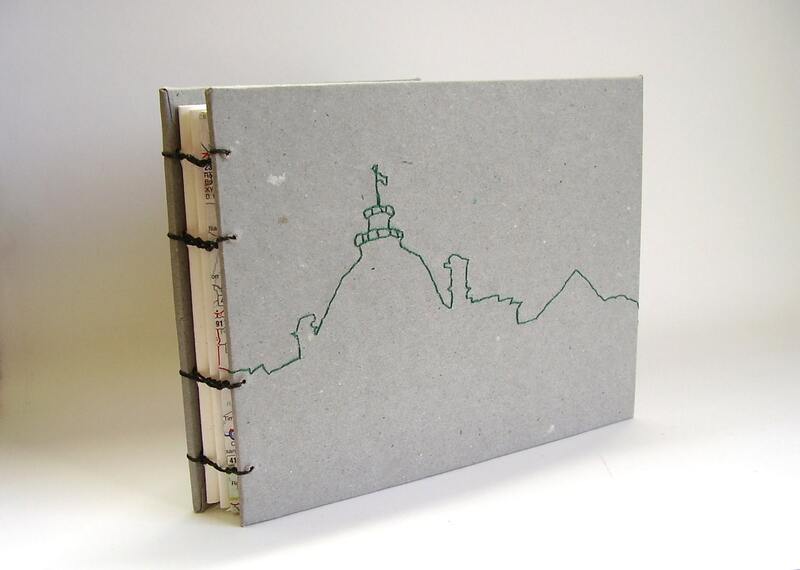 There’s one other piece that comes to mind, an artist’s book. Here’s how it started. A long time ago I had a horrible landlord. Said landlord did unwise things and was, in general, a blundering dunderhead. 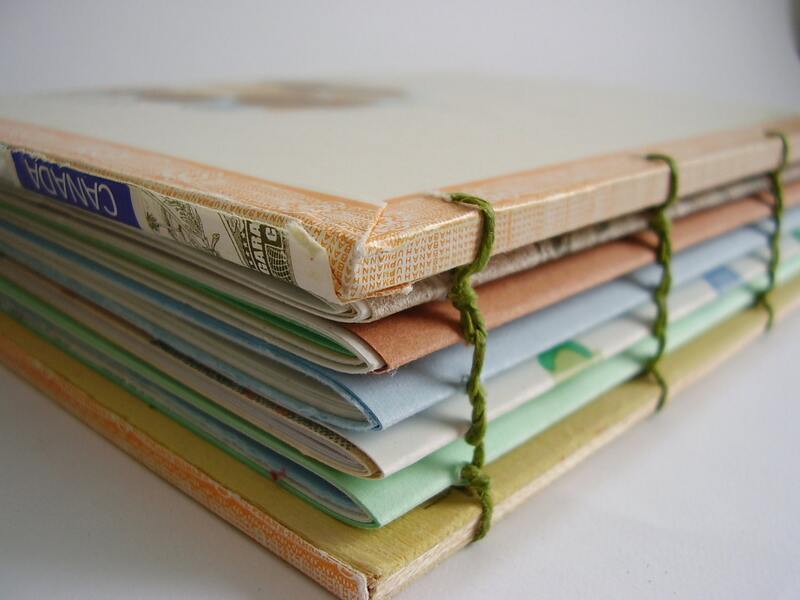 When I couldn’t handle it anymore I vented through bookbinding. The result was a lovely artists book made exclusively with my handmade paper (grayish unbleached flax, to bring across the gloom I felt at the time with this landlord). Inside I had crafted each page with pop outs, lift flaps and sliders to reveal, of course, the foolish antics of my landlord. It calmed my mind and I still get a laugh when look at it. Great story! Here’s my last question: What do you see in store for the future of your shop? This is something I think about a lot. I’m always torn between keeping my online shop ‘cohesive’ and just doing my own thing. So far doing my own thing is working for me. Maybe I’ll finally come up with a solution to be cohesive while doing my own thing. In the meantime I’ve got a list of great projects for my shop, keep your eyes peeled! Thank you for your time, Carolyn! Be sure to take a look in Carolyn’s shop on Etsy: Sprouts Press Designs and like her Facebook page! You can also read further about her passions on her About page on Etsy. "dunderhead" is a word I hacen't heard in awhile, gave me a giggle! Great interview and great store. I love your work! Wonderful stitched spine. It looks great, and isn't it just so much fun, thinking up a new style and finding out that it actually works?